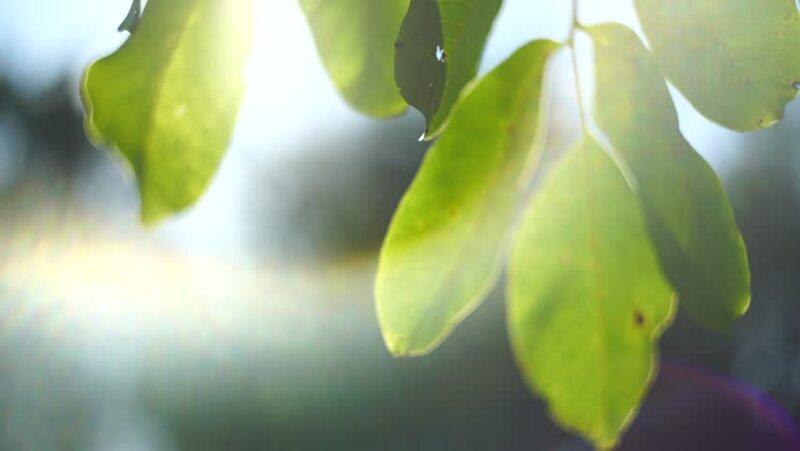 Close up of fresh green walnut leaves gently swaying against sun at sunset. Shot with romantic soft focus and beautiful lens flares and light leaks. hd00:23Common beans (phaselous vulgaris) in vegetable garden, tilt up, beetle.Pole beans have a climbing habit and produce a twisting vine. hd00:31reflection/reflection of sunlight in water to green plant. 4k00:17Sweet star fruits hanging on the tree. hd00:08Mosquito larvae in a vase planted a tree.